If you have not already done so AND you are our client, email or fax to us a copy of your Waiver for safekeeping. If you’d like to be our client, please contact us! Insert your ORIGINAL Waiver into your passport. 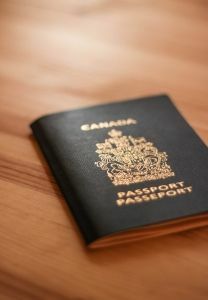 Put an elastic around your passport so that your Waiver does not fall out. When travelling to the U.S., present your passport and Waiver upon entry. Your Waiver can be revoked if you don’t present it upon entry! Though rare, I have heard of this happening before. On your Waiver, it states “you must present this Waiver upon entry”. When the officer is done reviewing your passport and Waiver, be sure the Waiver is put back in your passport and put the elastic back on. This ensures your Waiver is returned to you. 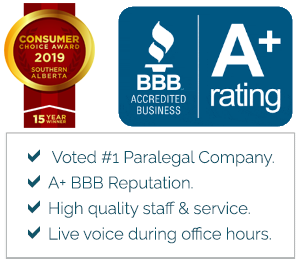 We had a situation where the waiver was not returned to our client, which our client did not notice until after it was too late. Unfortunately, the cost to replace a lost waiver is $405 USD. Arrive at least 2 hours early for U.S. travel. 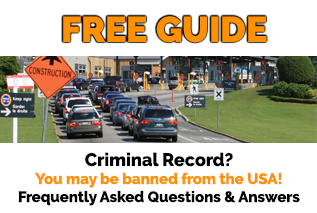 Even though you have a Waiver, you can be detained until the border guard ‘has time’ and will verify there are no new convictions and that the Waiver is valid. If you do not leave the border guard enough time, you can miss your flight. Boarder guards may discuss the details of your Waiver and criminal record with you—so if you wish to avoid this conversation in the presence of others, go through security by yourself. Some officers may not respect your privacy even if you are in the presence of children and co-workers. If traveling internationally via the U.S., remove your Waiver from your passport after you have gone through U.S. Security and place it in a secure place when traveling through non-US Countries. Other Countries do not need to see your Waiver. If you are not traveling to or en-route through the USA, be sure to keep your US Waiver in a safe place at home. The fee is $405 USD to replace a lost or stolen Waiver. You should report a stolen Waiver to the police and to Homeland Security. If your waiver is lost or stolen, please contact us.